Buy each new character episode separately or one big bundle. Your choice! 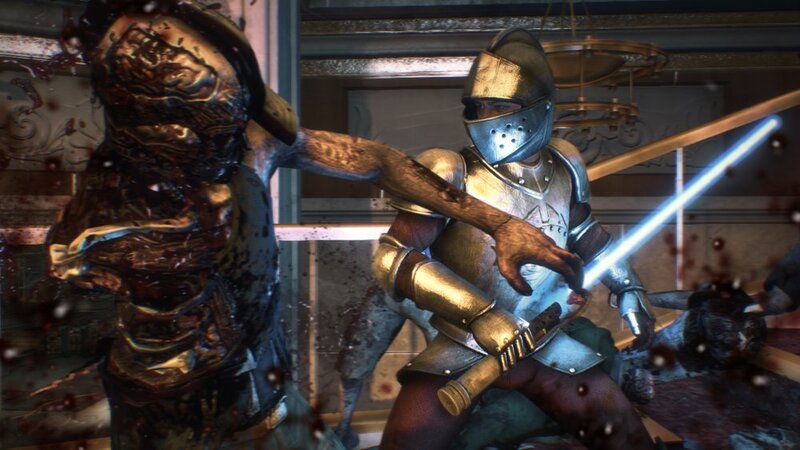 Late last month, we talked about Dead Rising 3’s Season Pass and what it has to offer gamers. Today, however, we got word on new information regarding the content, including four playable characters found within each DLC episode. 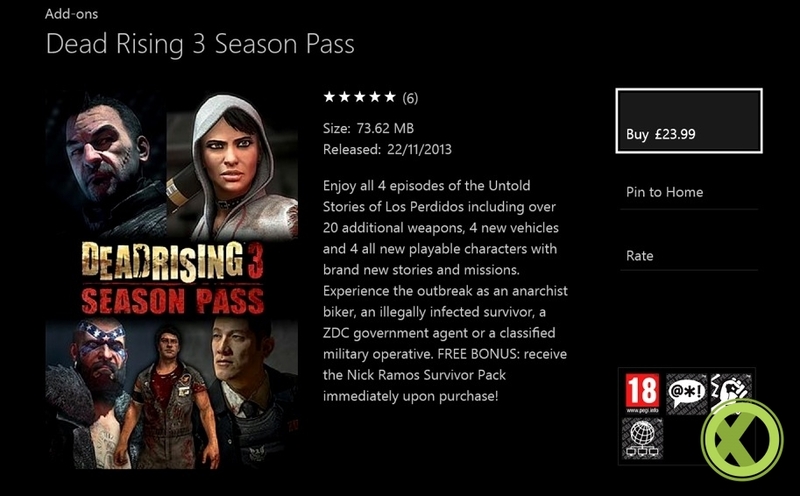 Dead Rising 3 is one of the most anticipated launch titles for the Xbox One’s launch window, so it’s no surprise that people want as much information about the Season Pass offerings as possible. To kick things off, we know that the very first DLC available will feature the “Nick Ramos Survivor” pack. It’s a small DLC, giving our main mechanic protagonist a sweet muscle car and stylish threads on day one of release, but does pave the way for the beefier chunks of content to flesh things out. Following this, four upcoming episodes featuring a unique character with his or her own story and missions within each one. Thus far, we know the four characters will encompass: “an anarchist biker, an illegally infected survivor, a ZDC government operative, and a classified military operative.” The first of these episodes, “Operation Broken Eagle” will be available by the end of 2013, with “Fallen Angel”, “Chaos rising”, and “The Last Agent” to finish them out into 2014. These can be purchased individually for $9.99, but if interested in the Dead Rising 3 Season Pass, gamers can grab the lot for a total of $29.99. What more does the Season Pass hold? Well, we’re only a handful of days away to find out ourselves! Dead Rising 3 will be here, along with the release of the Xbox One, this Friday, November 22nd. Don’t forget that a Season Pass isn’t everything the game has to offer. Recently, special Megaman X armor and weaponry unlocks were revealed, players who pass the hardest of difficulty modes within the game. Page created in 0.4485 seconds.